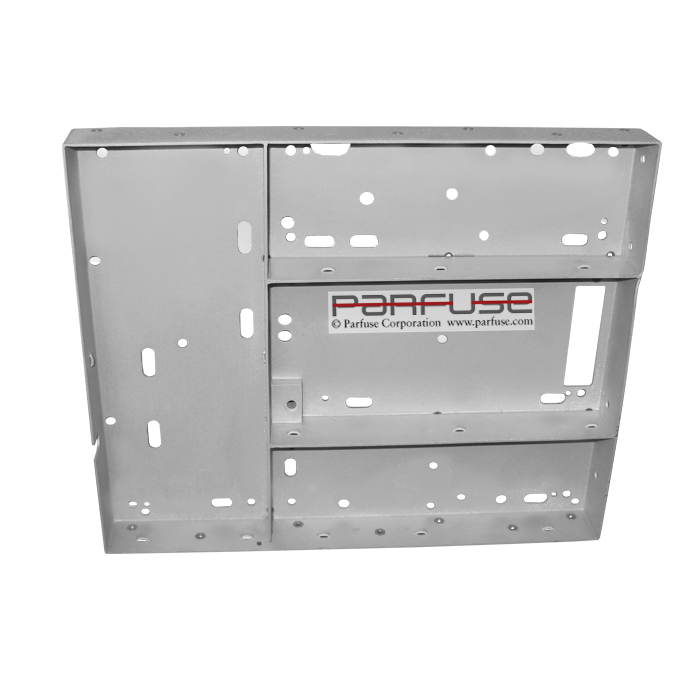 Typical sheet metal chassis dip brazed at Parfuse. 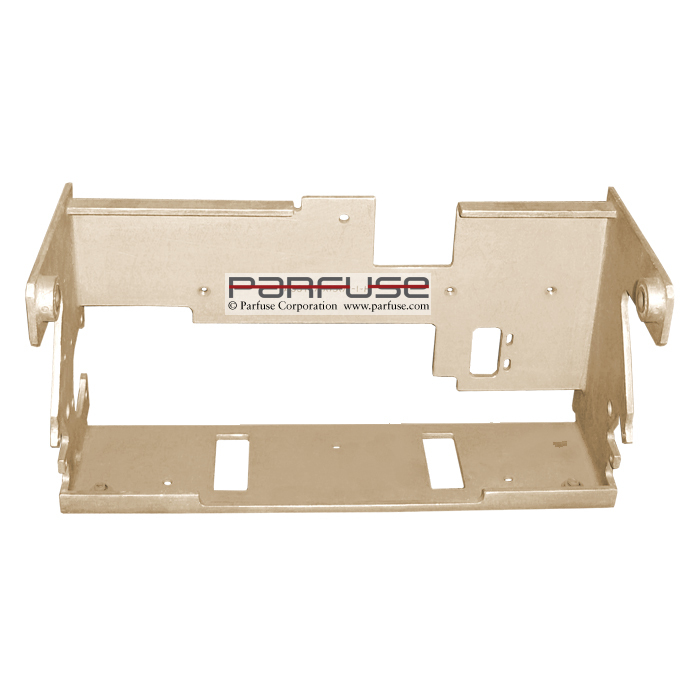 Quality, delivery and cost are just some of the reasons we are the top dip brazing house in North America. Sheet metal cover fabricated from .062 thick 6061. Dip brazed flat and square so next level of assembly is not a problem. 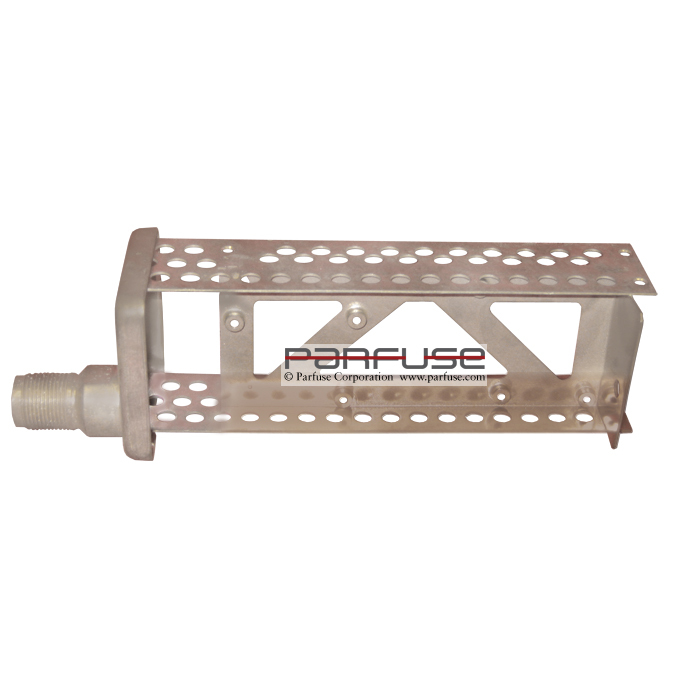 This dip brazed igniter chassis is part of General Electronics production lines, which Parfuse dip brazes 1000's per week with success. 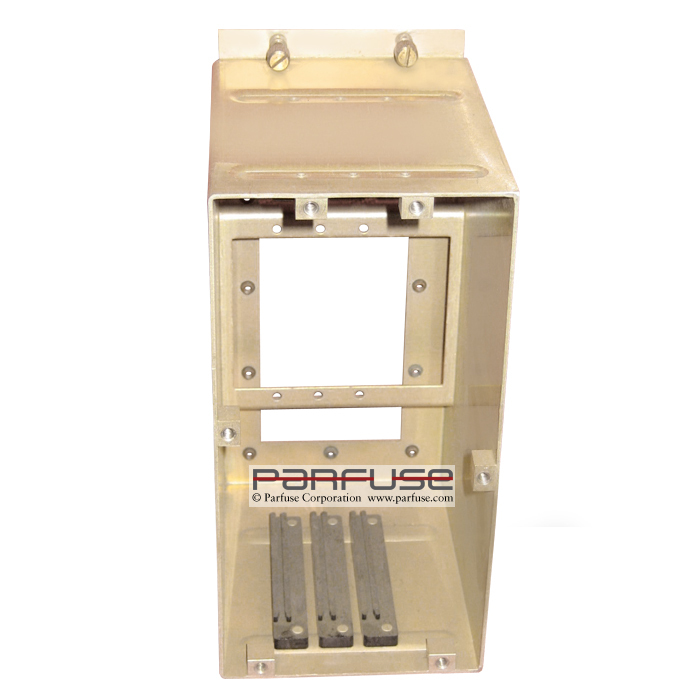 Sheet metal avionic housing with card guides assembled after brazing and chromate. Machined holes in blocks done as a secondary to have perfect locations. 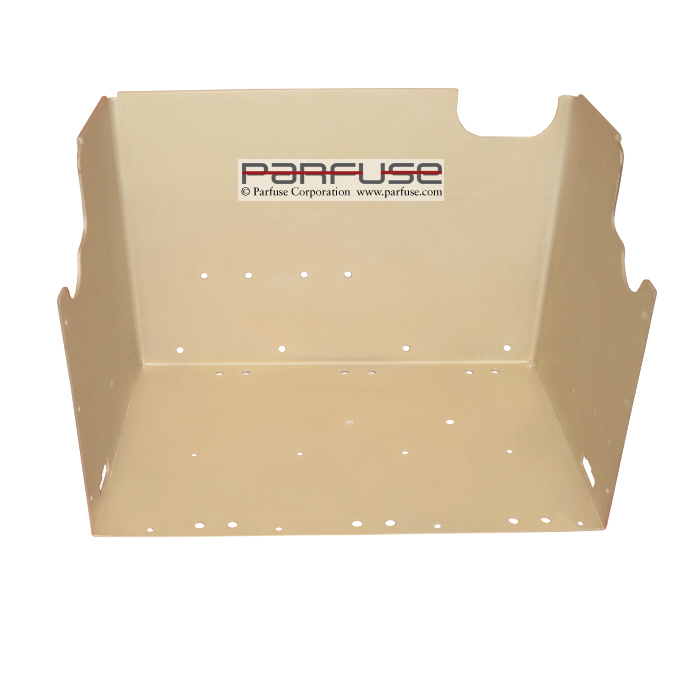 Sheet metal chassis, tabbed together and dip brazed to form a flat fully EMI/RFI enclosure. Stainless steel hardware (pems) installed prior to dip brazing.